Penny stocks, or microcap stocks, usually belong to small companies. By SEC definition each unit will cost less than $5.00 and this allows investors to buy hundreds of shares for a small amount of money. Even a slight increase in price can translate into significant profits. While penny stocks seem lucrative, most financial experts believe that they are very unpredictable and risky. The vulnerability of a penny stock is often attributed to the parent company itself. These small organizations are managed and operated by a closed group of directors and employees who rarely release statements related to the financial status of the company. Investors and financial experts outside the organization know very little about the business and its future plans. As a result, there is a lot of speculation in the market. Finding NASDAQ penny stocks or NYSE penny stocks can be beneficial in this regards because companies are required to disclose important information promptly. Microcaps, like large stocks, also have the right to change the number of shares outstanding in the market by filing an S-8 form. In some cases the number of shares out standing can double or more. Such measures can have a significant negative impact on the price of stock. Penny stocks are also prone to pump and dump scams. In spite of the risks, penny stocks have benefited thousands of investors over the years. You can also gain from them. All you need is some commitment, guidance, preparation and a bit of luck. Developing a penny stock list is key to determining the proper penny stocks to watch. Make sure the penny stock is listed on Nasdaq, NYSE or OTCQX. This will add credibility to the stock and its parent company. Gather as much information as you can about the organization. Choose stocks that do not rely on aggressive marketing tactics and have significant trading volume in the market. A penny stocks list will help you track and compare various shares efficiently and effectively. What Goes into a List of Penny Stocks? You can track the stocks on the list and invest wisely at the opportune moment. 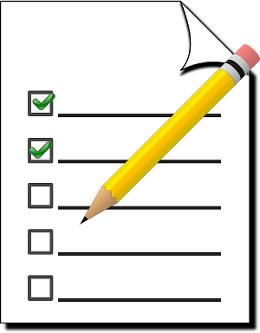 Creating a list is a time taking task and will require some genuine effort on your part. You can adopt a variety of strategies for the job. Newsletters – Many investment firms release newsletters on a regular basis. They contain a list of penny stocks that are creating a buzz in the market. This list is usually generated after extensive research. The authors of the newsletter gather the information about the parent company for you and offer their opinion as well. The idea is to help you save time and effort in the long run. Newsletters come with their own set of disadvantages. Many investment firms charge subscription fees and offer their newsletters only to members. This can get expensive over time. It is also important to determine the credibility of the newsletter. Profitly is one credible newsletter website with many noteworthy penny stock investors, including Timothy Sykes selling subscriptions to their newsletters. Scammers often send free newsletters to prospective investors. They invest large amounts of money in a particular penny stock and use the newsletter promote it. Once the investors buy the stock and help increase the price, the scammers dump all the shares they own. While they make significant profits, other investors lose all their money. Hence, choose your newsletter carefully. Determine its source and learn more about the financial experts associated with it before relying on the document to create your penny stock list. OTC Listings – Prospective investors can also visit the OTC Markets website and click on the ‘Advancers’ and ‘Decliners’ tab for a list of penny stocks trading in the market. You will get names of all the companies here. The process is easy and is completely free of cost as well. The OTC Markets website, however, does not include any information about the parent company. You have to spend hours looking for those details. Without that knowledge, your penny stock list is incomplete. You will not be able to assess the strengths and weaknesses of the company and of the stock in general. The OTC markets are divided into three segments with the OTCQX requiring the most disclosure and strictest financial requirements. Nasdaq Penny Stocks List – Nasdaq offers another great platform for trading penny stocks. Go to the NASDAQ site and use the stock screener to find shares that trade less than or equal to $1 or $5 depending on your definition of a penny stock. You will find an extensive list of companies whose individual stocks cost less than $5. Apart from being a free tool, the Nasdaq website is easy to use as well. It also offers some information about the parent company because all organizations are required to submit certain financial statements to gain eligibility for Nasdaq trading. With this penny stock screener you can limit your list of NASDAQ penny stocks by other important criteria like Zacks Rank, EPS Growth, Size & Share Volume, and Balance Sheet. Many investors prefer this source when compared to the OTC Markets. As with OTC Markets, you will need more information before investing confidently. This will require additional effort and time. Stock Screeners – Many popular financial websites like Yahoo Finance and Google Finance offer stock screening services. Once you enter your criteria, the website will scan through thousands of names and provide you with a list of penny stocks that meet your requirements. This will help you focus on a few companies at a time. The websites also provide specific information about the stocks including share prices, P/E ratios, market capitalizations, industry groups, and trading volumes among other things. Stock screener sites, however, do not talk about the current management of the company, its competitors, lawsuits against the company, newer technologies being developed, and other aspects related to the organization. Hence, investors should conduct due diligence before trading penny shares. Brokerage Firms – Investors also rely on brokerage firms for penny stock investments. Apart from offering online trading portals, the firms may also provide information about the penny stock parent companies along with some expert advice. You can use this data to create your own penny stock list. Be ware that in some cases these firms are being compensated for promoting these small cap companies. Once you create your penny stock list, you can start tracking your options efficiently. Your ultimate success will depend on investing at the right moment and selling it at good price. Doing your own research and developing your penny stock list can help you trade with confidence. A little effort can take you a long way and help you significantly.